NASA/JPL-Caltech/SSIA backlit photo of Saturn and its moons taken by NASA’s Cassini spacecraft on July 19, 2013. On Friday, NASA is destroying its Cassini spacecraft at Saturn to prevent contaminating the planet’s moons. The fireball in Saturn’s clouds should be visible to telescopes in space or on the ground. NASA can’t use the Hubble Space Telescope to photograph the probe’s destruction, but astronomers on the ground might catch a glimpse of a flash. Early on Friday morning, NASA’s Cassini probe will meet its doom as it becomes a streak of plutonium-laced fireworks in the clouds of Saturn. The nuclear-powered robot was launched in 1997 year to deeply study Saturn and its mysterious collection of moons. Cassini arrived in 2004, dropped off a lander on one moon, and has orbited Saturn and beamed back data and images to Earth ever since. Scientists would love to keep the $US3.26-billion mission going, but their robot has gotten too low on propellant to safely control. Extending the mission would risk crashing Cassini — which is contaminated with trace amounts of earthly bacteria — into Enceladus or Titan. These two moons of Saturn hide oceans of water and may be habitable to or even host alien life. 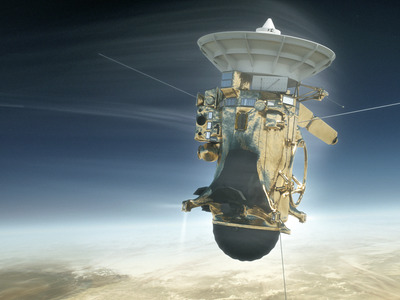 Instead of chucking the probe into deep space, like the twin Voyager spacecraft, NASA decided to destroy Cassini by sending it on a months-long death spiral into Saturn. This daring manoeuvre — what NASA calls “the Grand Finale” — gave Cassini 22 unprecedented dives between Saturn and its gossamer-thin rings. As NASA prepares to lose one of its most storied space probes, many space enthusiasts are wondering whether Cassini’s final moments will be visible from Earth, 930 million miles away. When Cassini plunges into Saturn’s outer atmosphere at about 76,000 mph, it should produce bursts of light. But that will be tough to see from Earth for a few reasons. First, the brightest parts of those bursts will be in ultraviolet — the same wavelength of light that can cause sunburn. Because Earth’s ozone layer soaks up gobs of ultraviolet light, however, any UV flashes will appear dramatically dimmed to anyone watching from the ground. Another challenge is that Cassini’s two nexuses of control — NASA and the European Space Agency — won’t “see” the event in the dark of night, making the signal all the much dimmer as western telescopes fight twilight. 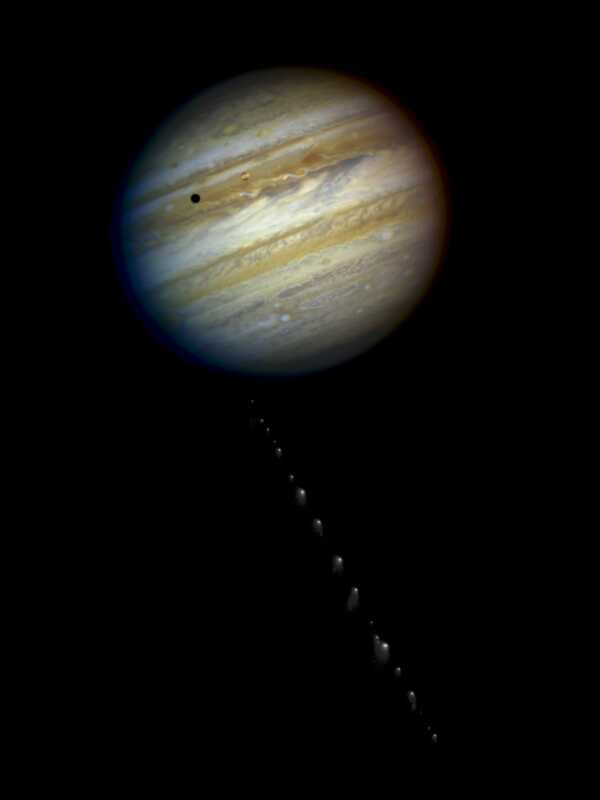 NASA/JPL-Caltech/ESA/STScIWhen comet Shoemaker-Levy 9 slammed into Jupiter in July 1994, the Hubble telescope photographed the aftermath. Because of those factors, Spilker said this moment in space history won’t be like seeing the Shoemaker-Levy 9 comet wallop Jupiter in 1994. Space is the ideal place to record Cassini’s fiery death, since the sun and Earth’s atmosphere wouldn’t be in the way. 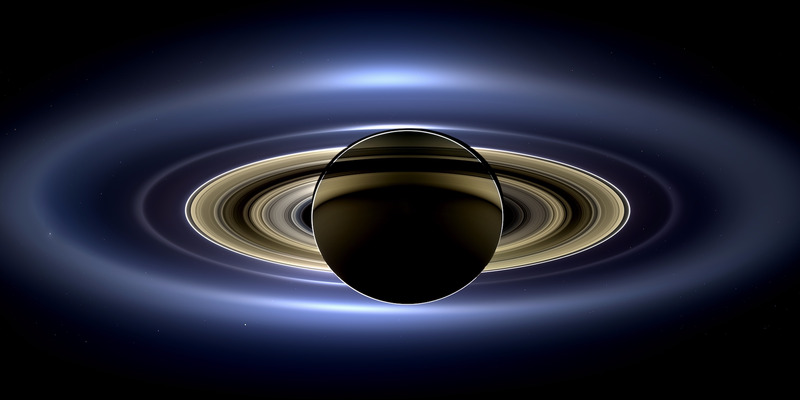 So, the Cassini mission asked NASA to use the Hubble Space Telescope to stare down Saturn for signs of a flash. This could have worked, but Spilker said a recent discovery at Saturn led to a poor “luck of the draw” with Hubble. During Cassini’s last handful of dives between Saturn and its rings, the probe revealed that the planet’s outer atmosphere extends farther than previously thought. Ploughing through those sparse gases gradually slowed down Cassini — and this, in turn, bumped up the probe’s time of death by about 15 to 20 minutes, Spilker said. “It’s really just in the last few weeks that we’ve started to get a better handle on what that time of impact would be,” Spilker said. When NASA studied this new timing, it realised Cassini would burn up while Hubble is flying over Earth’s South Atlantic anomaly — a chink in the armour of our planet’s protective shield where radiation levels and electric currents spike. Southern astronomers to the rescue? But Spilker thinks all hope is not lost. 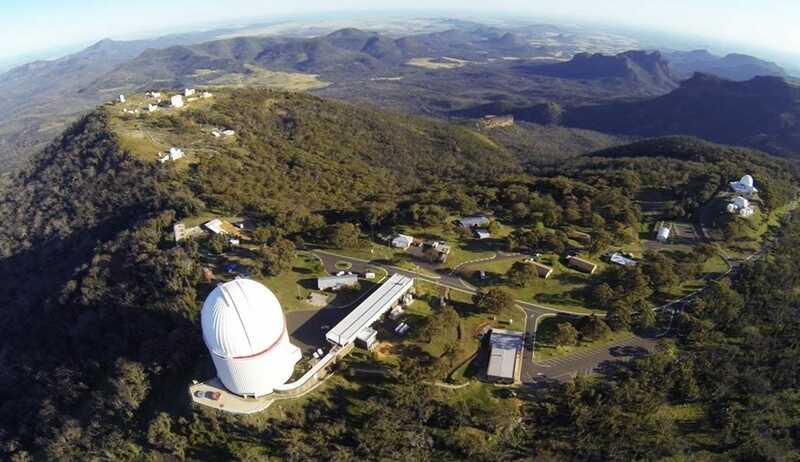 She said there’s a chance that professional, ground-based telescopes in the southern hemisphere — perhaps those in Australia — might be sensitive enough and in the right place to record Cassini’s death. She also said there’s a large community of space fans with powerful telescopes and refined techniques sprinkled across the globe that could help. “There’s still some really great, really capable amateur ground astronomers, in particular, that have returned some beautiful images of Saturn,” Spilker said, reiterating that it will be a “tough one” to capture.